This is my favorite topic! After our encounter with head lice, I decided that no one my family was ever going to contract head lice again. I told the kids that we were about to become The Lice Police … a model of head lice prevention. And so we have. Once a week right after washing my daughter’s hair, while it’s still sopping wet, I massage a good conditioner generously through her hair. Leaving the conditioner in, I comb through her hair, scalp to ends, with a really good lice comb. Because the conditioner makes her hair so silky, the comb glides through easily and does not pull on her hair and hurt her scalp. My daughter actually likes this. She says the comb feels good! I do feel a little like a hairdresser, and because we aren’t doing the full-blown time-consuming sectioning and examining of hair, I enjoy it too. If I ever do come across a louse or nit, I’ll know we’ve caught it early, and comb every one out right then and there. Just to be sure, I’d go ahead and use the enzyme shampoo too. Happily, we’ve found no signs of lice in the several months I’ve been doing the preventative comb-through. The comb needs to be rinsed after each pass through the hair, because there’s a lot of conditioner on it. So I do this while she’s still in the tub. I run the comb through my own hair while conditioning it, too, at least once a week for head lice prevention. No sharing – of anything that touches your head. Brushes, combs, hats, scarves, hairbands, barrettes, helmets, dress-up clothes, coats, towels, pillows – teach your kids not to pass these around and lend them to each other. Head checks – Check the heads of everyone in the family once a week for head lice. This way you can find any lice soon after they arrive, and wipe them out quickly. So much better than discovering a developed infestation with lots of lice, and dozens of nits! 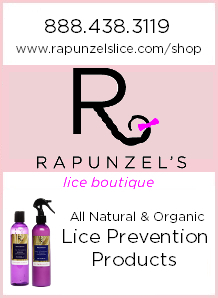 There are several products marketed today that are specifically designed for head lice prevention. Shampoos, hair sprays, special styling gels and the like. There are also lots of recipes floating about for inexpensive treatments you can make yourself to prevent head lice. Many of these products and recipes are designed to repel lice using ingredients that lice can smell and don’t like. Often these are essential oils, like tea tree oil or peppermint oil. At first, I thought this was a great idea. I figured we could spray tea tree oil on our heads each day … and then if we encountered lice, they would never climb onto our heads because lice dislike the scent of tea tree oil. After reading more about essential oils, though, I’ve decided that it’s not a good idea to routinely put concentrated oils on your kids’ heads. Some of these oils are likely harmless, but there is evidence that some of them may have subtle pernicious effects on human development that only become apparent over time. For instance, a study whose results were published in the New England Journal of Medicine in 2007 concluded that continued topical use of tea tree oil and lavender oil may have subtle hormonal effects. See the lice treatment warnings page for other examples. Many essential oils are not well studied. I ultimately decided to take a cautious approach to these oils and other head lice prevention products. While I might use peppermint oil as a one-time thing to help treat a lice infestation, I won't use it every day as a preventative treatment. Just in case there are long-term subtle effects. I would only use one of these products very occasionally, say if my daughter goes to a slumber party or something like that. You'll find an extensive list of head lice prevention treatments in our Mega-List Of Products For Preventing Head Lice.